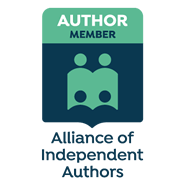 A big shout out and thank-you to Ana Spoke for posting my article about my second book, Corrosion, in the Trial Bay series. Oh, how sweet it is to see your first book online or on a bookstore shelf…It doesn’t get old – and personally, I think finishing the second novel is an even bigger achievement. All of us, aspiring authors, are working so hard towards the dream of writing well, publishing often, and building an audience. 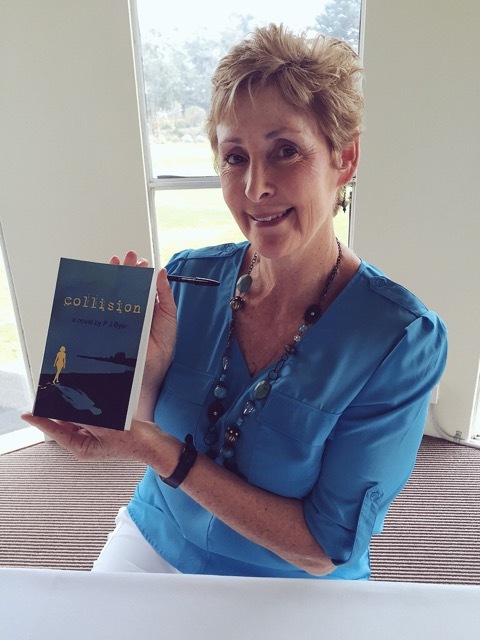 So it’s my pleasure to introduce an author who has just published her second novel – please put your hands together for P J Byer, the author of Trial Bay Series! You can learn more about P J Byer on her Amazon author page. 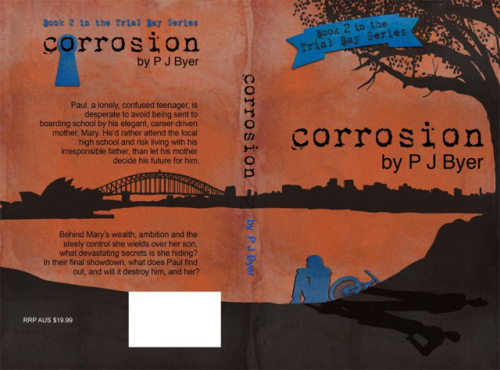 Corrosion – Book 2 in this YA series, is written from a unique angle – teen and parent tell their side of the story. Secrets exposed shatter lives.